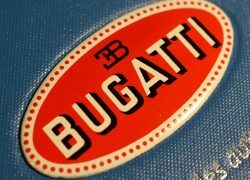 History of Bugatti: Automobiles Ettore Bugatti was a French car manufacturer of high-performance automobiles, founded in 1909 in the then German city of Molsheim, Alsace by Italian-born Ettore Bugatti. 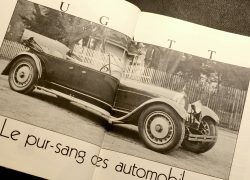 Bugatti cars were known for their design beauty and for their many race victories (Ettore Bugatti was from a family of artists, and considered himself to be both an artist and constructor of cars). 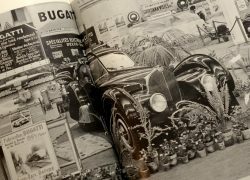 Famous Bugattis include the Type 35 Grand Prix cars, the Type 41 “Royale”, the Type 57 “Atlantic” and the Type 55 sports car. 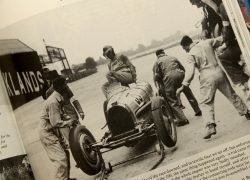 The death of Ettore Bugatti in 1947 proved to be the end for the marque, and the death of his son Jean Bugatti in 1939 ensured there was not a successor to lead the factory. 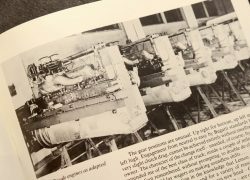 No more than about 8,000 cars were made. 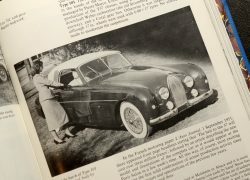 The company struggled financially, and released one last model in the 1950s, before eventually being purchased for its airplane parts business in the 1960s. In the 1990s, an Italian entrepreneur revived it as a builder of limited production exclusive sports cars. Today, the name is owned by German automobile manufacturing group Volkswagen. 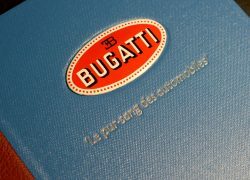 Description: Originally published in 1963, this book is the fourth edition, and remains today as the definitive study of Bugatti. This English language edition is a must for the bookshelf of anyone interested in this model. 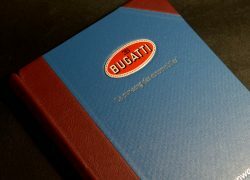 Special Binding: Covered in a special Bugatti blue rexin with half bindings in a deep burgundy leather. The cover sports fine deeply embossed matt aluminium foil title blocking. 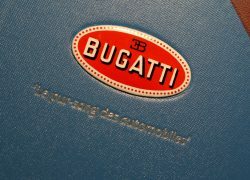 To the centre is an inset metal and enamel Bugatti badge, especially manufactured in France as a faithful replica of the original radiator badge. The badgefinished in the typical three colours of red and black on white base. 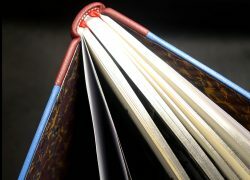 The page ends are matt aluminium gilted, and the book has fine hand made marbled endpapers. The book has red & white ‘heads & tails, along with double red silk ribbon markers. 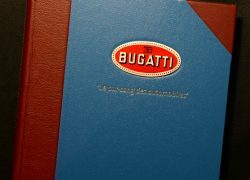 Supplied within a Bugatti blue rexin archival slip case. 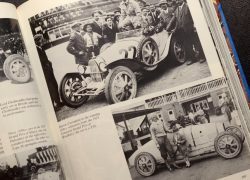 Format: 408 pages with over 500 photographs. 27.5cm x 21.5cm. Edition: Special leatherbound limited edition, complete with archival slipcase.